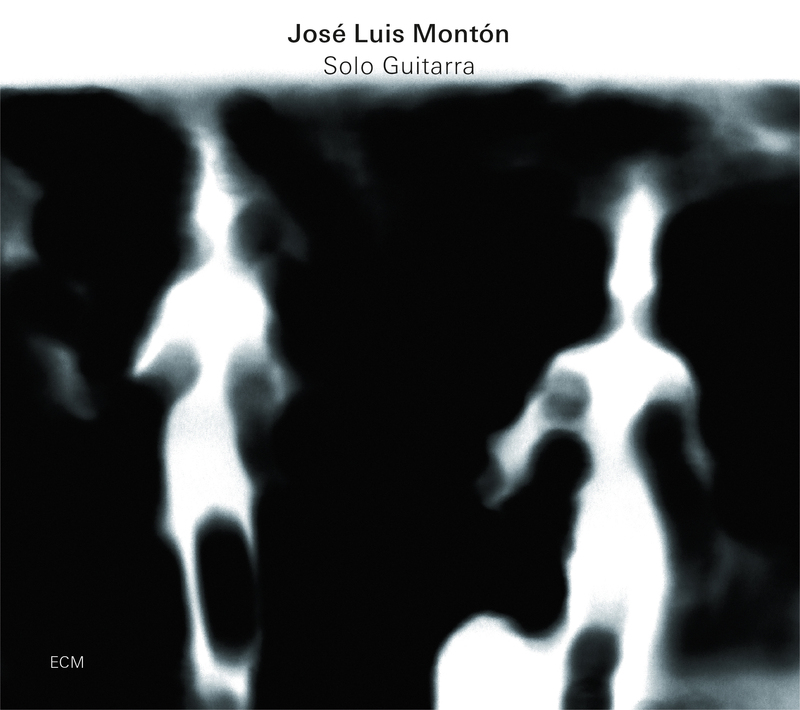 After hearing José Luis Montón play so dazzlingly in Amina Alaoui’s Arco Iris, one of ECM’s finest records of this or any year, producer Manfred Eicher invited the Barcelona-born guitarist back twelve moons later for a solo session. The result: Solo Guitarra. Paying homage to the flamenco music that continues to challenge and inspire him, Montón took this opportunity, as he did with Alaoui, not to build on or recreate some monolithic tradition but rather to use his instrument as the starting point for independent compositions through which a mythic past flows unimpeded. As with the implied figures of the Max Franosch cover photo, there is nothing “solo” about this guitarra, for the architecture of its player’s technical and idiomatic acuity has many chambers. The farruca, a (possibly) Galician strand similar to Portuguese fado, is referenced in the two opening pieces. This light and airy style is most evident in the understated virtuosity of “Rota,” but also shows a darker side in “Española.” Already we have witnessed the depths of Montón’s abilities, turning six strings into a choir just yearning to proclaim and meditate in turn. The acrobatics of the bulería come out through “Son & Kete,” a spiraling and almost tense flurry of activity. “Altolaguirre” and “Hontanar” give us the chameleonic tango. On the surface fragile as rose petals yet thorny as the supporting stem, it lives as it sings: without the need for words, and in service of that one moment when all is cast away. Next is an enraptured tarantella. “Con permiso” turns said folk dance into a diary of consummated love. There is the unsure touch, the cheek quivering at first caress, the pile of shed inhibitions cushioning every pinpoint of oneness. The relatively unornamented shapes of the Andalusian cantiñas and soleá roll like children down a hill through “Al oído” and “Conclusión,” respectively. 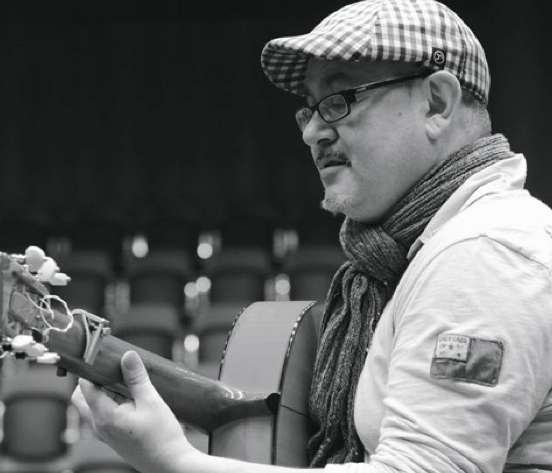 Theatrical use of slaps and rasgueado (those distinct hummingbird strums) speaks to Montón’s experience as a composer of incidental music. The seguirilla, one of flamenco’s most expressive and formidable variations, shows him at his spirited best in “Detallitos.” The inventiveness of his mid-range melodies is second only to his intuitiveness of rhythmic control. “Tarareando” is without citation. As a result, its wide steps bolster the innocent joy of “Piel suave,” a rustic Cuban guajira that turns like a Rubik’s Cube, the solution of which glows flush in an endearing rendition of “Te he de querer mientras viva.” Nestled in the heart of all this is the Bach-inspired “Air,” which gives respect to the famous movement of the Orchestral Suite No. 3. It is an enlightening reminder of the many paths we travel to find the sound that best expresses us, only to discover that those paths all lead to a shared origin.